Jplus wrote: You say that university is not an option for you. TIL about flywheel energy storage, thanks to What-If 86. Interesting stuff! 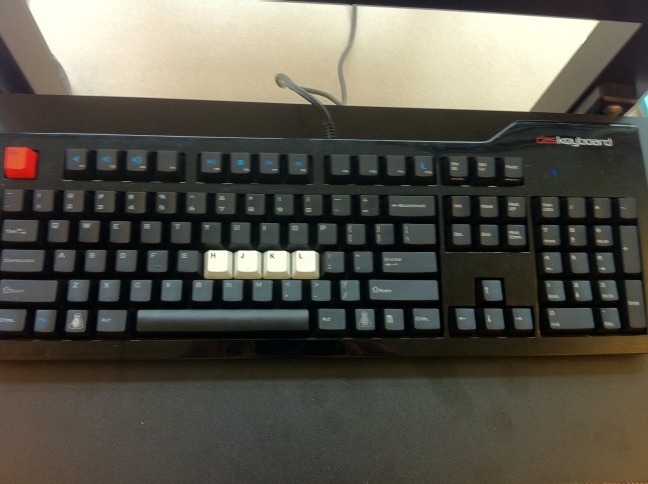 Extra points for HJKL, and a brownie for not having a Windows logo on the Super key. Klear wrote: Finally a pure GOOMGR moment for me! I had exactly this idea not four days ago. Then again, I assume a lot of people come up with this joke at some point. I confidently assert that you mean GOOMHR. That's a bit blunt. It may well have to do with trade (see picture), but I wouldn't call that 'bought off'. I'm curiously impressed by how smart they're playing this. The more Crimea looks like a part of Russia, the more convincing the "We need to defend our own Russian citizens"-rhetoric becomes. Bakemaster wrote: I suggest a delicious French lentil soup. So many interesting things to do/learn! I just made vegetable broth, but I don't actually know what kind of soup I want to make. Not particularly looking forward to drinking only broth for dinner. Minor annoyance, but it always irks me a bit when people talk about 'American lives', as if they're somehow different from 'lives'. Xenomortis wrote: How do the loops look after the compiler's had its way with them? That's the most important question, I think. The first thought that entered my mind after reading what you (Diadem) wrote was "Huh, seems like you're accidentally interfering with the compiler's optimization heuristics." I made improvised nut cookies. Grind a bunch of nuts (I used walnuts, hazelnuts, almonds and pecans) in a food processor or blender, add raisins, add a bit of cinnamon and sugar, add coconot cream and an egg, mix. Finally, put it in the oven for a while.